Change a life over lunch. The WR Connectors Program helps grow our local economy by expanding the professional networks of highly qualified newcomers to Canada. This informal networking session is simple. Meet with a professionally-qualified newcomer to Canada for half an hour and then suggest three names from your network that folks can get in touch with. You can meet over coffee, lunch (or whatever works for you) and have a chat. That's it. It's that simple. Through these meetings, the Connector gains access to a wealth of diverse, pre-qualified talent and Connectees gain insight into their professional network and connect with career opportunities. Connectors are you and me. They're the person you share a wall with or sit next to at lunch. Whether you only have a few years of experience or are a C-level executive, we all have the potential to be Connectors. This is your chance to grow our local economy - and your network - to help somebody and their career. Highly qualified in their professional fields, but new to Canada and the local business community. These are people who just need the right introduction. This program exists to help people like you maximize their potential in Canada. There is no fee for this program. Funding for the program comes from the Government of Canada and our corporate sponsors, including the Royal Bank of Canada. Complete the application below. You must have a LinkedIn account to participate. Once we receive your application, we will call you to arrange an initial meeting with us. After our initial meeting, we will refer you to one of our Connectors. Everything after that is up to you. You are a Permanent Resident of Canada and live in Waterloo Region, Wellington or Perth County. You hold a professional qualification, skilled trade certificate, undergraduate or graduate degree from outside of Canada. You speak English at a CLB Level 7 or higher. Once we receive your application, we will call you to arrange an interview with us. 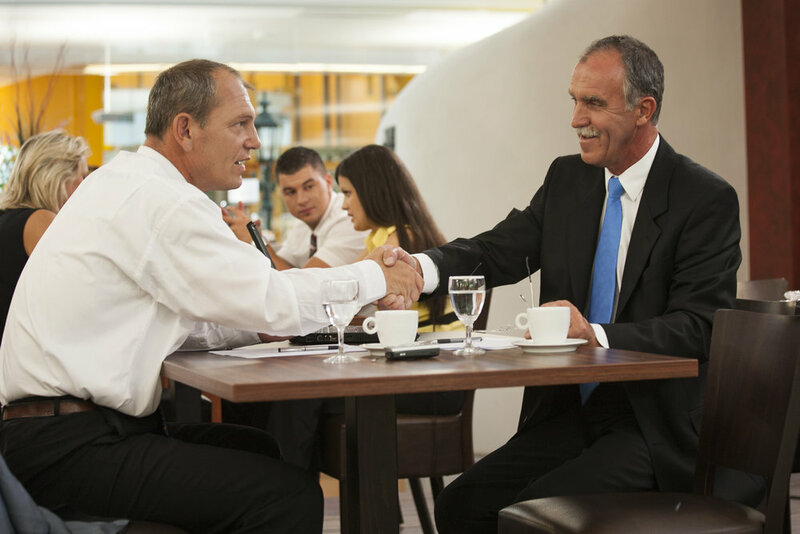 After your interview, we may refer you one or more of our workshops to help you prepare for networking. If you're accepted in the program, we will match you with an appropriate Connector when one becomes available. Everything after that is up to you. We love our Connectors. People just like you are the backbone of this program. And not only are you volunteering to help a newcomer to Canada in Waterloo Region, you're growing your own network too! Meet for 30 minutes with a newcomer to Canada who we believe is a good fit based upon your shared professional experiences. Based upon your impression of that person, refer them to three other people that you believe could be helpful for them to meet.